Hayden, Alabama is centrally located between Huntsville and Birmingham with easy access to I-65. Whether you are looking for an area to build your business or raise your family, the Town of Hayden is exactly the area you have been searching for. With an industrial park located within minutes of I-65 Hayden is a great place to locate your business with a lower tax rate than our neighboring counties and municipalities. We are far enough away from the big cities to raise your family in a hometown environment yet close enough so that you can still enjoy shopping and dining without sacrificing that small town life. We hope you enjoy visiting our website and that it answers many of your questions about our great town. Should you need additional information, please utilize the “Contact Us” area of the website or call us at 205-543-6881…we look forward to hearing from you. 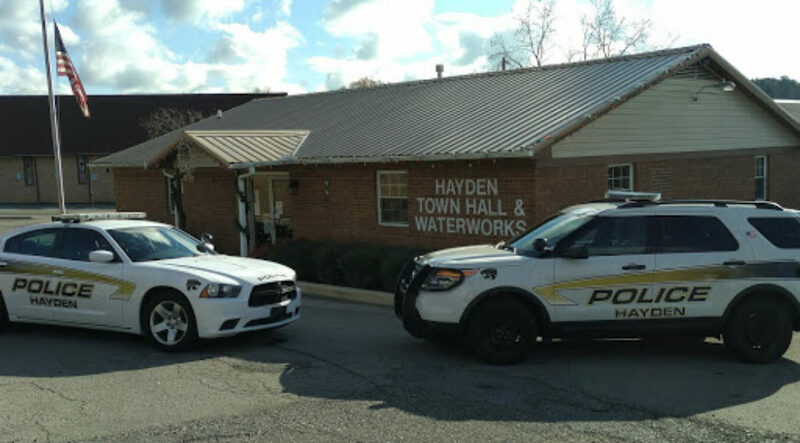 FYI…The Hayden Office of the Disabled American Veterans (DAV) will now be open every Friday from 9:00am until 3:00pm at the Hayden Town Hall located at 5030 State Hwy 160, Hayden, AL 35079. For more information or to verify services that will be provided, please contact Frank Cannon at 205-359-1865.